Three years later, in late 1975, the Church of Scientology relocated its international religious headquarters into this blighted area and began a program of restoring some of Clearwater’s oldest and most historic structures, thereby preserving snapshots into Clearwater’s past. 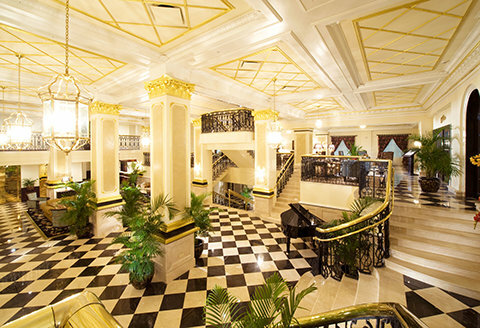 In the 15 years prior to the opening of the Flag Building in 2013, the Church of Scientology renovated, restored or built 1.2 million square feet of property in Clearwater. Today, the Church owns 22 buildings downtown, making it the area’s largest property tax payer. By serving as an international religious retreat for thousands of Scientologists from more than 50 nations around the world, the Church is a major contributor to State and local tourist taxes. Scientologists come and enjoy everything Clearwater has to offer as a top tourist attraction in Florida, and more than 2,300 Church staff members work in Clearwater and thousands more parishioners call Clearwater home. The opening of the Flag Building in November of 2013 was a monumental event for Scientologists everywhere. The Flag Building, providing ministerial training and counseling to Scientologists, joins the Fort Harrison and the Oak Cove in enhancing the skyline of Clearwater. Between 2007 and 2013 the Oak Cove was fully renovated, the Fort Harrison was restored to its original grandeur and more, and the Flag Building was completed and opened. The canopy of stately live oaks in the forefront of this photo has been preserved by Pinellas County. Peace Memorial Presbyterian Church, to the right of the photo, was originally built in 1923, and has also been carefully preserved. 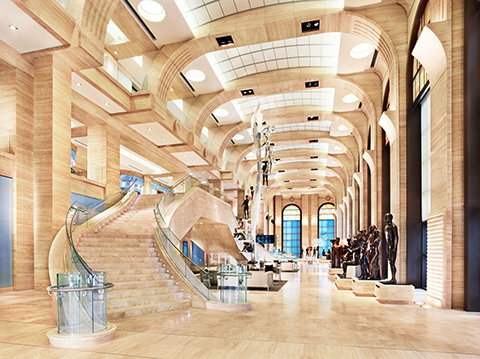 The three-story atrium of the Flag Building includes full-size bronze sculptures representing basic Scientology principles. 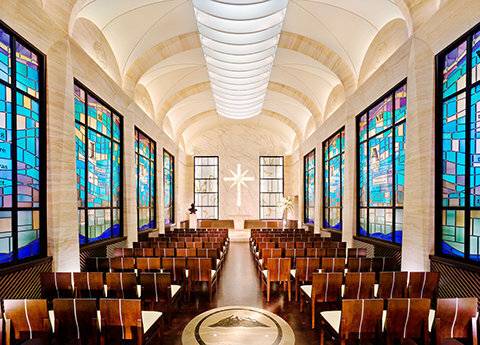 The Chapel of the Flag Building is used for Sunday Service, Scientology weddings and other religious ceremonies. The stained glass windows were inspired by the work of artist Marc Chagall. The Fort Harrison swimming pool was completely refurbished in 2009, along with the surrounding tropical garden. The lobby of the Fort Harrison welcomes Scientologists from around the world as well as charitable groups across the Tampa Bay region who utilize the grand auditorium for fundraisers and events. 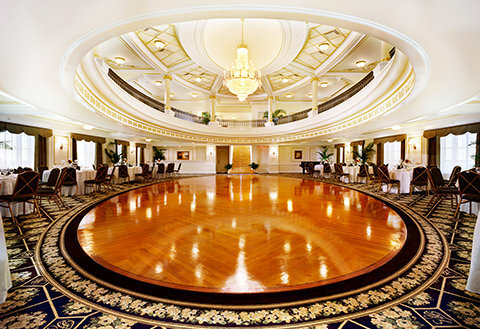 The Crystal Ballroom of the Fort Harrison is also used by local charitable groups for events, meetings and fundraisers.